In our heads it works like this: you’re at the park with your puppy having a great time, you call them to come and before you know it they’re at your feet. You give them a treat as a reward and that’s that. Another wonderful day at the park! But the reality for most of us is much different. What really happens is we wind up chasing our delirious dogs and puppies all over the park, shouting their name as they continue to run away from us, feeling helpless and frustrated the whole time. The reason you’ve been having problems is that while there are very clear and simple steps to getting your dog to come when called, you must go about them in a logical way or everything goes haywire very quickly! Do not chase your puppy! Sounds weird, right? But it’s true. The last thing you want to do if your puppy does not come when you call them at the park is to chase after them. You may already know what happens when you chase them, but if not it goes something like this: you call your puppy and they run the other way, so you move closer while calling their name. And that is your big mistake! Just like that, you are now locked in a game of chase with your puppy. It happens very quickly, so don’t feel foolish if it’s happened to you. One second you were training your puppy to come when called, and the next your chasing them around the park like some sort of cartoon character. So, then, what are your options? What should you do? The first thing to consider is to keep your puppy on a long leash until you are absolutely sure that your puppy will come when they are called. If they will not come when they are called, then do not give them the opportunity to run around not listening to your commands. But you (and your puppy) aren’t going to want to keep that arrangement up forever, so what other options are there? Your second choice is simply to gain an understanding of knowing when and how to turn and walk away from your puppy, so that they will then chase after you! See how easy it is to get your puppy to chase you and not the other way around? As you saw in the video, these dogs’ owners had no need for chasing or screaming — all because they knew not to run after their dogs. But unfortunately very people have the opportunity to ever learn this information. Imagine if they only knew just how easy it is once you have the proper guidance! But if you really want to master your relationship with your dog and put an end to all the frustration, I would continue on by watching more of Doggy Dan’s free video series. 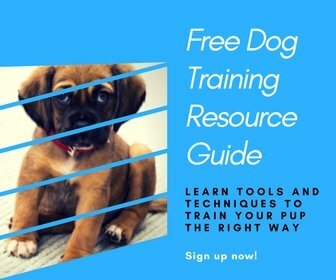 His full site has more than 250 videos that will take you through everything you need to know, from how to deal with aggressive dogs, how to stop your dog from barking, how to house train your puppy, and much much more. Start watching Dan’s proven methods in his free video series by clicking here now. His video diaries where he takes you along as he trains his puppy Moses all the way from 8 weeks old up to 1 year are super helpful. Good luck! Your Dog Barks at Strangers on Walks – What Can You Do?